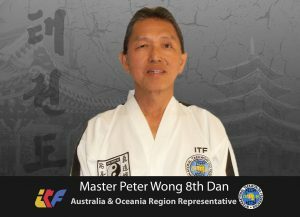 Master Wong is one of the most senior and experienced ITF Taekwon-Do Instructors in Australia and the Oceania Region. 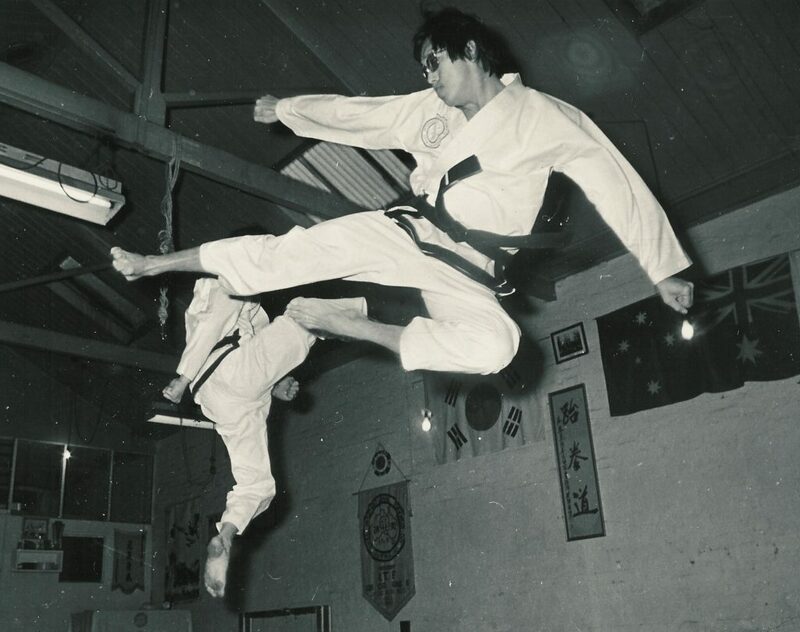 He commenced Taekwon-Do Training in the Melbourne University Taekwon-Do Club in 1970 when he was studying Architecture. 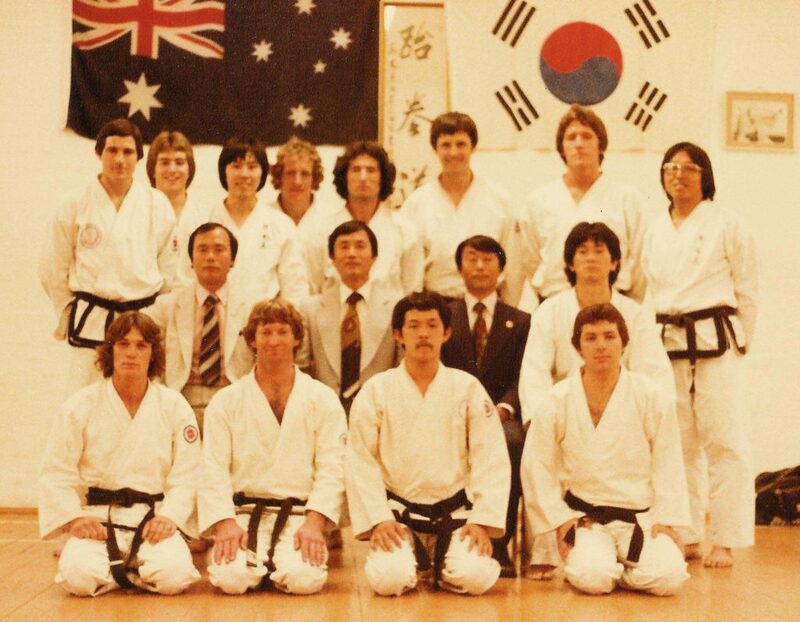 It was the first ITF Taekwon-Do club in Melbourne, Australia started by a 1st Dan Black Belt Malaysian student studying at Melbourne University. 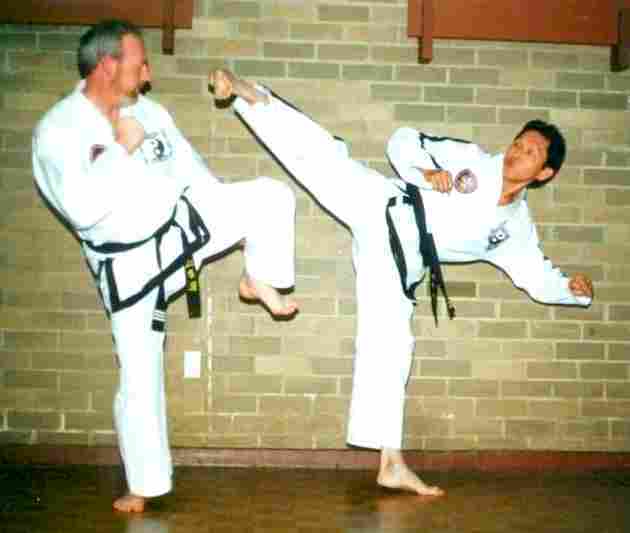 In 1971 he became one of the first Australian ITF Taekwon-Do students of Master Rhee Chong Chul, the Father of Taekwon-Do in Australia. 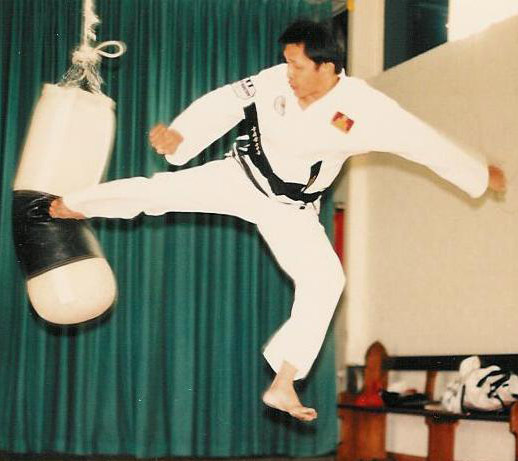 He was a well known Korean ITF Instructor teaching in Malacca, Malaysia during the formative years of General Choi’s promotion of Taekwon-Do in Singapore and Malaysia. Instructors and pioneers including Rhee Chong Hup, Rhee Chong Chul, Yun Young Ku, Park Jung Tae and Rhee Ki Ha. In 1973 he became one of the first ITF 1st Dan Black Belts in Australia to be graded by Masters Rhee Chong Hup and Rhee Chong Chul. 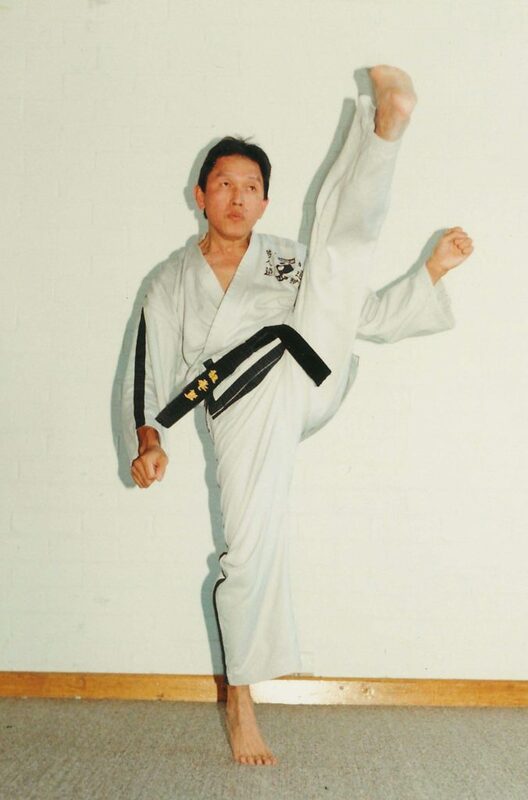 In 1975 he commenced teaching Taekwon-Do in Melbourne under Rhee International TKD. In 1977 he was graded by Masters Rhee Chong Hup and Rhee Chong Chul to 2nd Dan and began running his Taekwon-Do Club in Melbourne. 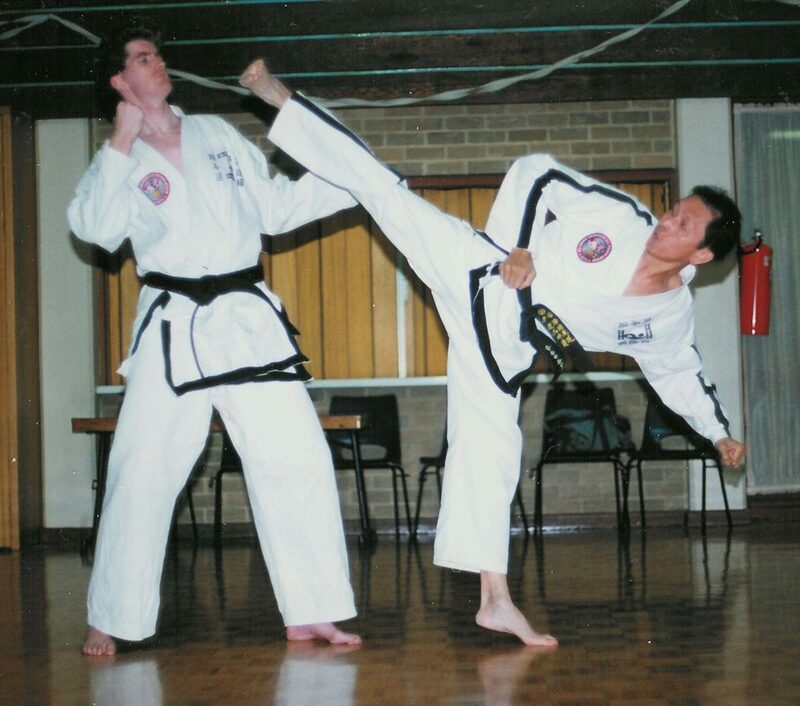 With the desire to raise his technical knowledge and proficiency in Taekwon-Do, he continued to train and promote Taekwon-Do under the Rhee Brothers within Rhee International Taekwon-do Australia. 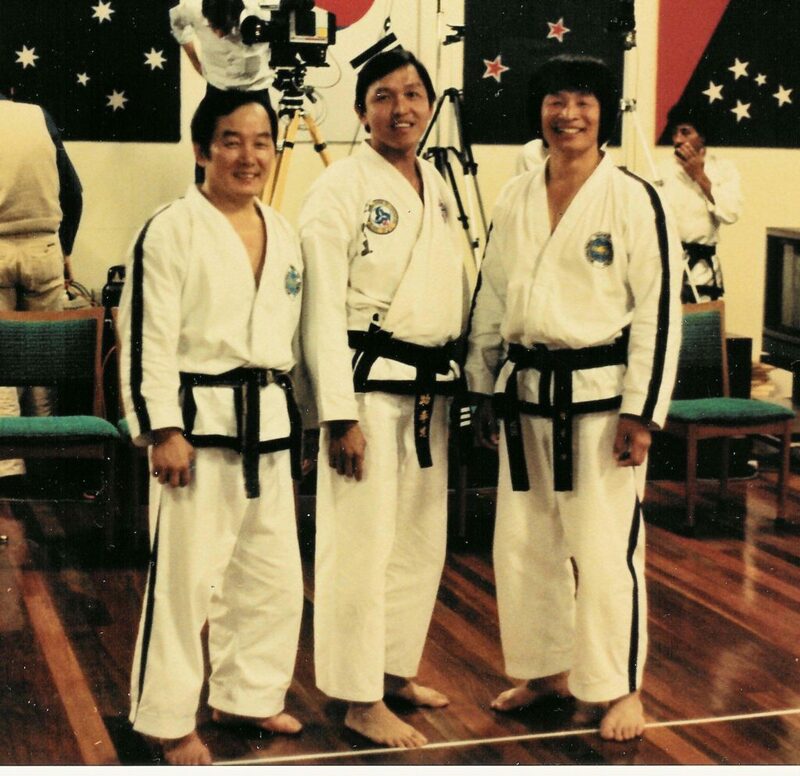 In 1981, because of the resignation of Rhee International Taekwon-Do from ITF under General Choi, he joined Master Yun Young Ku 7th Dan who was the official ITF Chief Instructor for Australia and the Oceania Region and continue training and teach Taekwon-Do under Master Yun International Taekwon-Do Federation. International Instructors Seminars conducted by Master Yun in Brisbane, Australia. In 1984 , he was appointed a Director of Master Yun International Taekwon-Do Federation and member of management committee. He assisted Master Yun in conducting International Instructors Annual Seminars at the Brisbane MYITF Headquarters between 1984 and 1989. 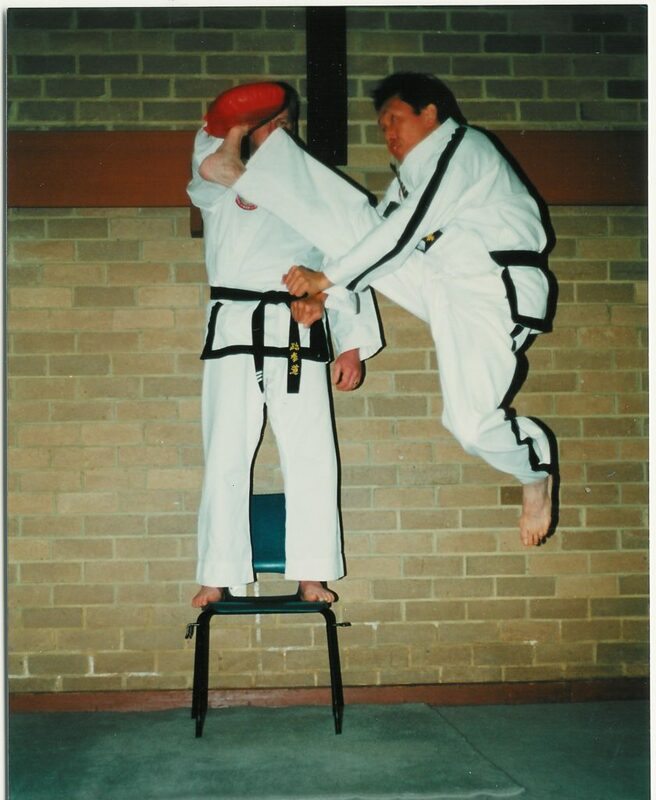 In 1985, he represented Australia at the South Pacific ITF Taekwon-Do Tournament in Wellington, NZ. In 1986, he attended the South Pacific ITF International Instructor seminar conducted by Masters Park Jung Tae and Yun Young Ku in Brisbane. 1988 he was graded to 4th Dan International Instructor and Examiner by Master Yun Young Ku and assisted Master Yun in conducting seminars and promote ITF in Australia. in Western Australia. He was graded to 6th Dan by Master Leong Wai Meng 8th Dan in Melbourne in February 2002. 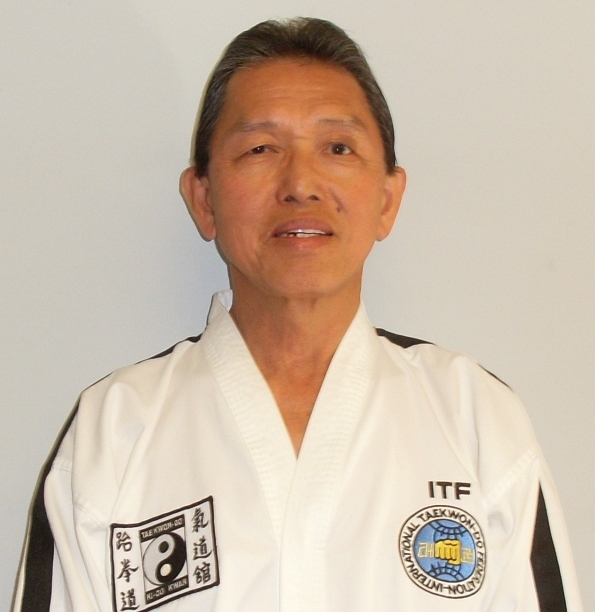 Following the passing of General Choi, ITF as an organisation fractured into different organisations and Master Wong was one of the founding members of the AAITF All Australia International Taekwon-Do Federation loyal to the original ITF under Chang Ung in Vienna. He continued his training and attended many ITF International Instructors Seminars conducted my Grand Master Rhee Ki Ha and Grand Master Choi Jung Hwa in Melbourne and Perth between 2004 and 2005. In April 2006 he travelled to Northern Ireland and attended Grand Master Rhee Ki Ha International Instructors Seminar and was graded to 7th Dan Master Instructor by Grandmaster Rhee Ki Ha. In 2007 he was appointed National Coach of the Australian National Taekwon-Do Team that participated at the XVI ITF World Championship in St Petersberg, Russia. In 2009. Master Wong organised one of the largest ITF International Instructor Seminars in Perth. 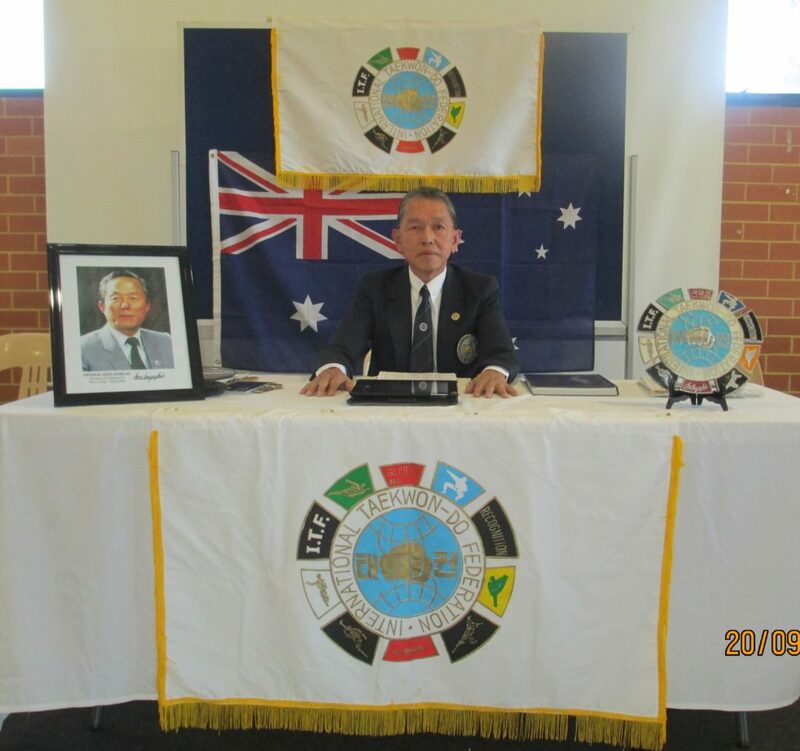 It was conducted by Grand Master Rhee Ha with over 150 participants from all over Australia. On 1st March 2014, he was promoted to 8th Dan by Grand Master Phap Lu at the International Instructor Seminar in Malacca, Malaysia. The turbulent years of ITF politics in the period following the passing of General Choi have impacted on the unity and progress of all ITF practitioners. However, Master Wong remains committed and will dedicate the rest of his life to the practice and promotion of the Philosophy and Spirit of General Choi’s Taekwon-Do after practicing as Professional Architect for 30 years and a Professional Registered Homoeopath for 15 years.